Mar 2015: Depart flight from Sydney, Australia with China Airlines(CI52 SYD-TPE 22:10-4:30) via Taiwan to Osaka, Japan. Mar 2015: Arrive Taipei International Airport at 4:30AM and transfer to Osaka, Japan with TPE Intl Airport CI156 departing at 08:30AM. You will be taken to the Osaka Castle. 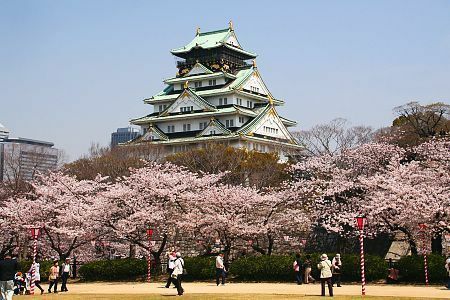 Osaka Castle was built in 1583, with a five-layer Dijon as its core, on a lawn park that stretches for about 60,000 square meters. Osaka's north gate, Umeda, has a gigantic stretch of underground mall that houses many restaurants, fashion and sundry goods stores. In contrast to Kita with Umeda as its core, Minami is an area with core cities Namba, a popular business and shopping district, and Dotonbori with many restaurants on both sides of Dontonbori-gawa River. In recent years, the development of Osaka's new showplace, the waterfront, is taking place. Tenpo-zan Harbor Village, which has 112 meter-high ferries-wheel, shopping mall and Suntory Museum, a complex of culture facilities, and ATC (Asia-Pacific Trade Centre), Japan's largest outlet mall, are also poplar. We will visit the largest shopping district in Osaka, Sinsaibasi, where many boutiques and specialty shops are gathered. The Shinsaibashi has developed from the arcaded streets called Sinsaibashi Shopping Street. This district has a row of large size department stores and reasonably priced shops. The Suomachi-suji Street offers an elegant atmosphere with stone paved sidewalks with British style street-lamps and buildings. The area is nicknamed European Village. TheWestern area of Sinsaibasi is nicknamed American Village and its symbol is the walls painted with unique illustrations. Mar 2015: After breakfast, we will depart to Arashiyama, a pleasant, touristy district in the western outskirts of Kyoto and enjoy the Sagano Romantic Train ride. Its charming, old fashioned trains wind the way through the mountains at a relatively slow pace, giving passengers a pleasant view of the scenery as they travel through the forested ravine. Then we will go to the Togetsukyo Bridge (“Moon Crossing Bridge”), which is Arashiyama’s most iconic landmark. The bridge looks particularly attractive in combination with the forested mountainside in the background. A riverside park with dozens of cherry trees is located just adjacent to the bridge. 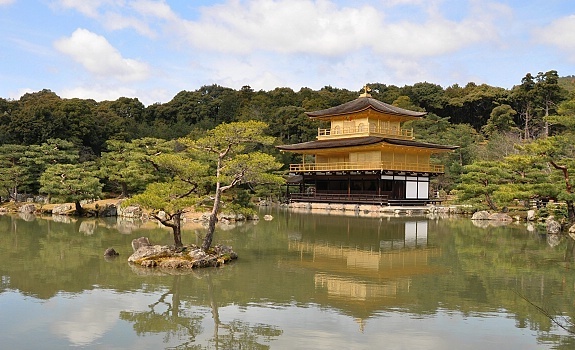 Continually to visit Kinkakuji (Golden Pavilion Temple), which is officially called Rokuonji (Deer Garden Temple). Belonging to the Rinzai-Shokokuji sect, this temple stands in a scenic area at the foot of the northern mountain of the mountain range extending in a northwestern direction in Kyoto's basin with Mt. Kinugasa to the west and the left Daimonji mountain in the back. Mar 2015: After breakfast, we will depart Kinkakuji (Golden Pavilion Temple), which is officially called Rokuonji (Deer Garden Temple). Belonging to the Rinzai-Shokokuji sect, this temple stands in a scenic area at the foot of the northern mountain of the mountain range extending in a northwestern direction in Kyoto's basin with Mt. Kinugasa to the west and the left Daimonji mountain in the back.Kiyomizu Temple, famous for the expression "the stage at Kiyomizu," was opened in 778 by the monk Jonin who was visiting this region. 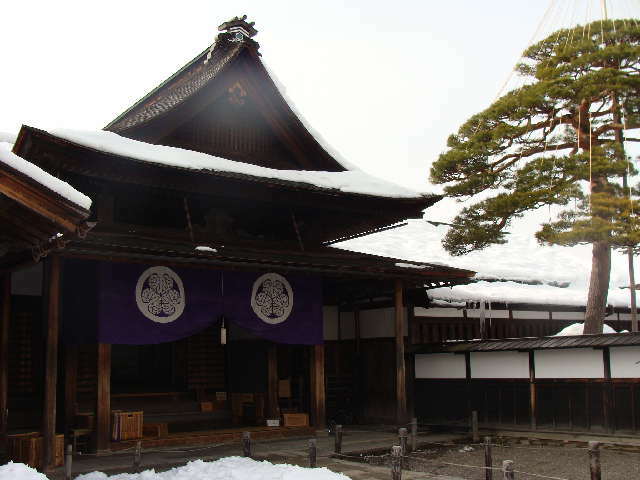 Since the old days, the temple has been known for its beautifulcherry blossoms and crimson foliage. It is illuminated during the seasons of spring and autumn, allowing special nighttime visits. The sixteenth holy Kannon site of the 33 in western Japan, the temple is crowded all year long with many worshippers. Nara is located less than one hour from Kyoto and Osaka. Due to its past as the first permanent capital, it remains full of historic treasures, including some of Japan's oldest and largest temples. Sightseeing in includes visits to Toudaiji Temple of Daibutsu - the largest bronze Buddha structure in Japan within the serenity of Nara Deer Park. 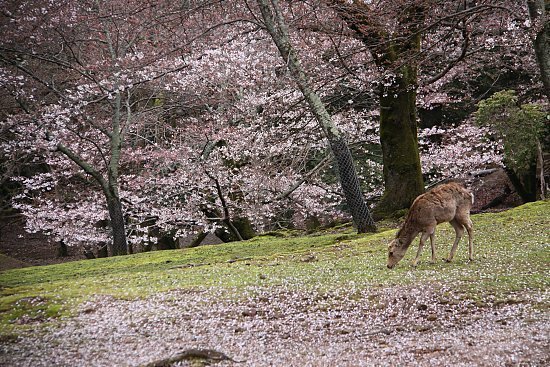 About 1700 cherry trees are planted across spacious Nara Park outnumbering the deer by around 500. One of the most pleasant hanami (viewing of cherry blossom) spots in the park is a large lawn encircled by cherry trees, a short walk southeast of Todaiji's main hall.Thereafter, transfer to Lake Biwa (Biwako), the largest lake in Japan with the size of a 670 km2. Many breathtaking views can be seen around the Lake Biwa. The "Biwako Hakkei," eight places of scenic beauty around Lake Biwa, was established to widely introduce the fine scenery around this lake. Mar 2015: After breakfast, we will visit Hikone Castle. Today Hikone Castle remains one of the oldest original-construction castles in Japan. The main keep of Hikone Castle was designated a National Treasure. Located on the northeastern side of the Hikone Castle, Genkyuen (Genkyu Garden) is a former Daimyo garden made in the Chisen-kaiyu style. On a vast 28,000-square-meter land, it was built based on the concept of replacing China's Eight Views of the Xiao and Xiang Rivers with Eight Views of Omi. Using the Hikone Castle as Shakkei (borrowed landscape), beautiful seasonal views can be enjoyed such as cherry blossoms in spring, irises and lotuses in summer, and crimson foliage in autumn. Gujyouhatiban (Gujo Hachiman) is a riverside town in Gifu Prefecture, known for its pristine waterways and its distinctive summer dance festival. The town was founded in the 16th century following the construction of Hachiman Castle. We then travel to Shirakawago, a small village that is world heritage listed. It is located in the mountains beside a prestine river. You will see the thatched roofed village by foot nad local traditional Japanese ricepaper workshop. It is also where the Praying Village is located. These villages are famous for traditional home-zukuri gassho. Model-zukuri Gassho house, or “construction praying hands” is characterized by a sloping roof form and symbolizes the hands of people who are praying. The design of this house is very strong and has a unique roof material that maintains the robustness of the building because this village will be covered with a very thick snow in winter. Home village of Shirakawa-go is very large, with 3 to 4 levels below the roof is very low, so a place big enough for one family. A traditional home in Shirakawa-go called Gassho-zukuri. Overnight stay at Takayama. Mar 2015: This morning we will visit the Takayama Jinya Morning Market, where most stands sell local crafts and farm products such as vegetables, pickles and flowers. We will proceed to the Old Town to see the historical streets of the area. The Shikinomichi ("Path of Four Seasons") along Nagoya's Yamazaki River is justifiably designated as one of Japan's 100 best cherry blossom spots. The riveris lined by hundreds of cherry trees for nearly a kilometer. Many somei yoshino trees, several weeping cherry trees and small numbers of less commonly seen cherry tree varieties are planted around the pleasant park and along the moats of Nagoya Castle. Overnight stay at Hamanakako. Mar 2015: After breakfast, we will travel to Hakone, has the panoramic view of the ultimate Japan symbol - Mt. Fuji. Hakone has been famous for hot spring since 1590. Asinoko Pirate-ship cruise is famous for visitors to tour around the lake area. Owakutani is the area around a crater created during the last eruption of Mount Hakone some 3000 years ago. Today, much of the area is an active volcanic zone where sulfurous fumes, hot springs and hot rivers can be experienced. A short walking trail (about ten minutes one way) leads from the ropeway station into the volcanic zone to a number of steam vents and bubbling pools. Here you can purchase eggs, cooked in the naturally hot water, whose shells are blackened by the sulfur and which are said to prolong one's life by seven years. Oshino Hakkai is the name given to the 8 ponds filled with melted snow water that taken more than 80 years to filter through the underground layers of Mt. Fuji. People have valued this water, which they call 'sacred water'. Not only do these ponds boast fine-quality water, but they harmonize wonderfully with the surrounding rustic scenery, and the water of Oshino Hakkai is ranked among the best-quality waters of Japan. Cherry Blossom Trees along the northern shores of Lake Kawagutiko provide the magnificent sight of Mt Fuji in combination with the lake and cherry blossoms. Two of the best spots are the lakeside promenade around the Kawagutiko Music Forest and the small Ubuyagasaki peninsula next to the Kawagutiko Ohashi Bridge. Tonight you will be stay at a hot spring hotel in the Mt Fuji area. Soaking in a hot spring is one of the most enjoyable ways to initiate deep healing and rejuvenation of body, mind and spirit. Mar 2015: After breakfast, we will drive to Tokyo city, where the Meji Shrine and Asakusa will be visited. Then we will visit Asakusa Kannon and Nakamise Shopping Street. There are 400 cherry blossom trees planted on both sides of the river. Then enjoy a Sumida River cruise, a forty minute boat ride from Asakusa to Hinode Pier on Tokyo Bay. Late in the afternoon we will visit the famous Bay of Tokyo – Odaiba. 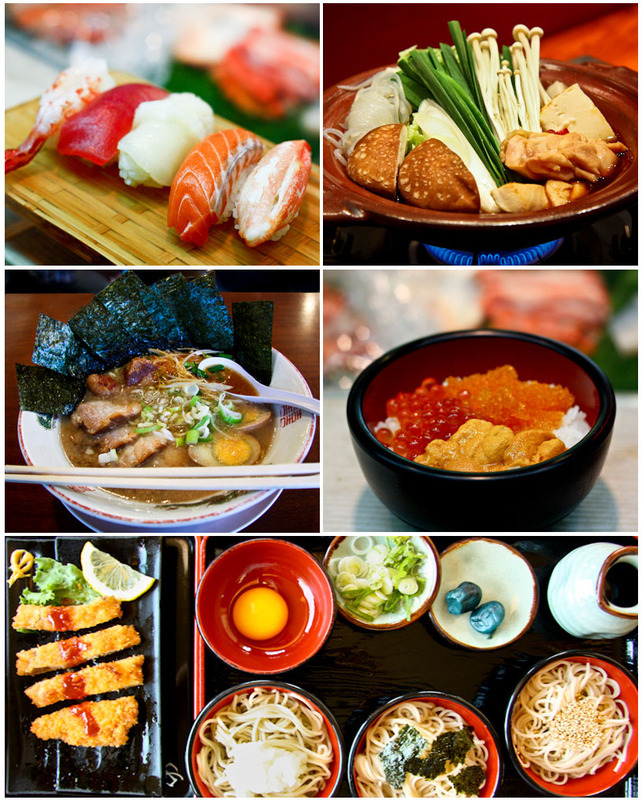 Mar 2015: After breakfast, you will have leisure time to explore the vibrant city of Tokyo. Tokyo is a shopaholic’s heaven. You can find all kinds of Japanese things at one shopping district. 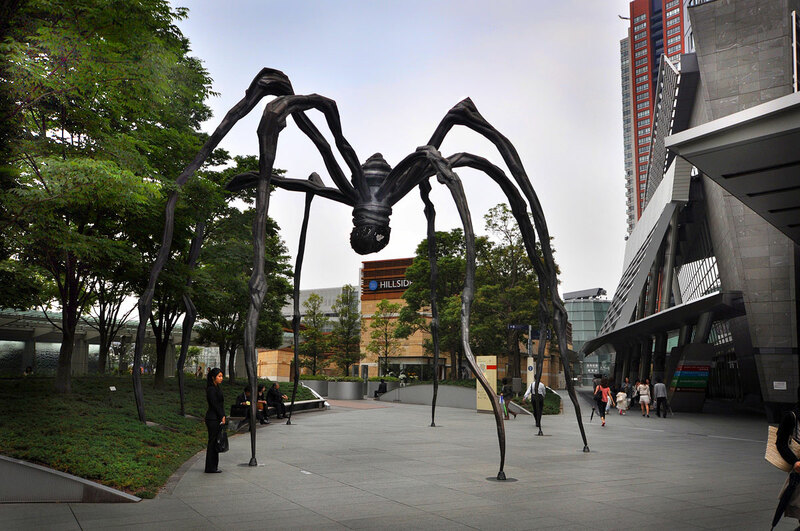 Roppongi isfamous as to the rich Roppongi Hills area and an active nightclubs scene. Many foreign embassies are located in Roppongi, and the nightlife is popular with locals and foreigners alike. Midtown Tower is a mixture of shopping centre and office buildings in a complex in Roppongi area, which also has Tokyo's tallest office building. Almost every locality in Japan has its own variation of ramen, from the tonkotsu(pork bone broth) ramen of Kyushu to the miso ramen of Hokkaido. You will have the opportunity to taste Tokyo's famous ramen at your own expense for lunch today. You can go to Akihabara (famous for electrical, computers and cameras). The Imperial Palace is the residence of the Emperor, and while in the middle of the city, maintains an environment of abundant greenery. The Edo Shogunate’s Edo Castle was made the Emperor’s residence in 1868, when the Emperor Meiji moved from Kyoto. In 1948 the old name was abolished and it began to be referred to as the Imperial Palace. About 16:00PM in the afternoon, you will be transferred to the Narita Airport for flight (CI17 18:50-21:50 NRT-TPE & CI51 23:00-11:20 TPE-SYD) back to Australia via Taipei. Mar 2015: The flight will arrive Sydney approximately at 11:20AM. *Child price $2880 is for child between 2-12 yr old to share bed with existing bedding (sharing with 2 adults).